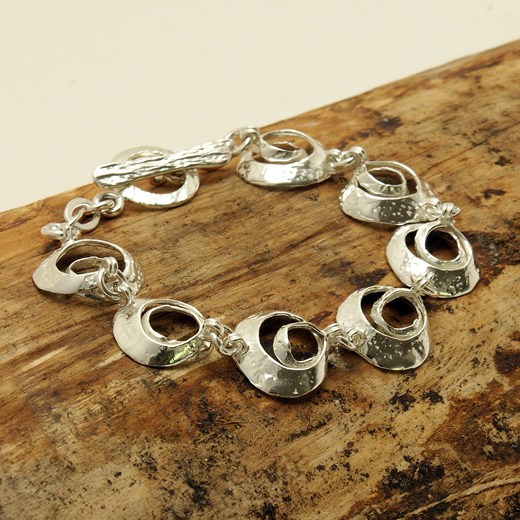 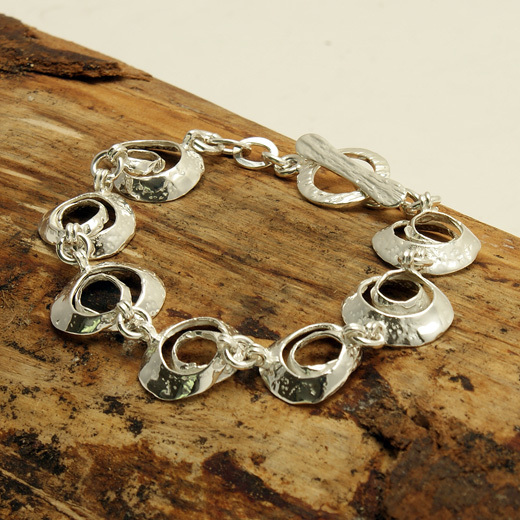 A chunky sterling silver bracelet with contemporary shellshape swirl design from Andea. 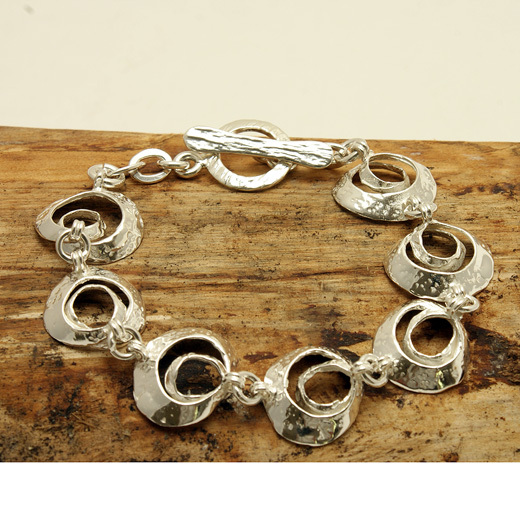 A stunning and striking bracelet from Andea Jewellery made entirely from 925 sterling silver, it features hand crafted hammered 3D circlular links and fastens with a solid T bar toggle clasp. 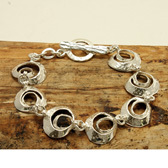 It is sure to add a touch of style and sophistication to any outfit.